1 – Chic to Ethnic gracious Waistbelts! 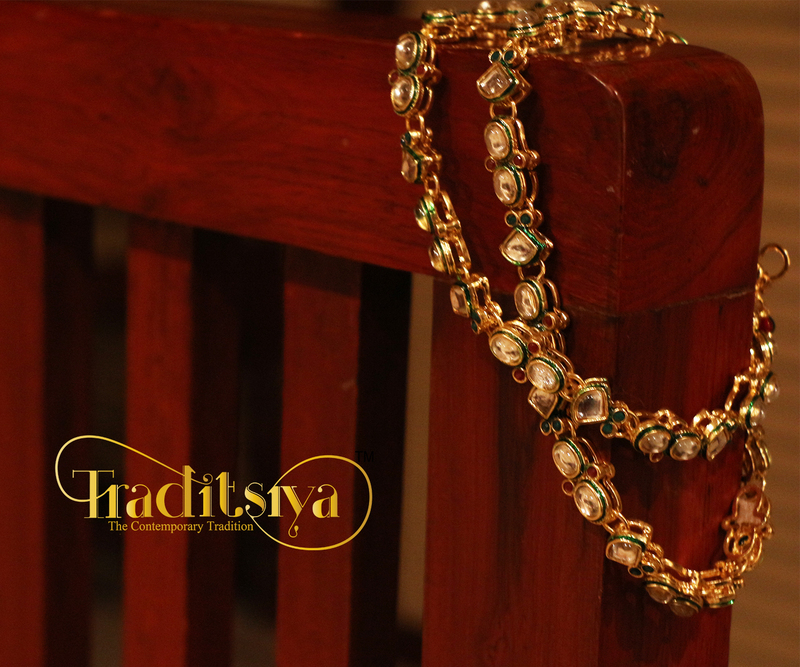 We’ve always been pairing saree’s with our fixed bunch of necklaces, earrings and bangles. While these jewellery are more than awesome we want you’ll to take a look at the newest trends and ideas. How about you add an elegant Waistbelt around your waistline and make it shine. Undoubtedly, the waistbelt looks fabulous when worn over low waist sarees, and the new trend of wearing them high-waisted is definitely a must-try! 2 – Bajuband – The Armlet! 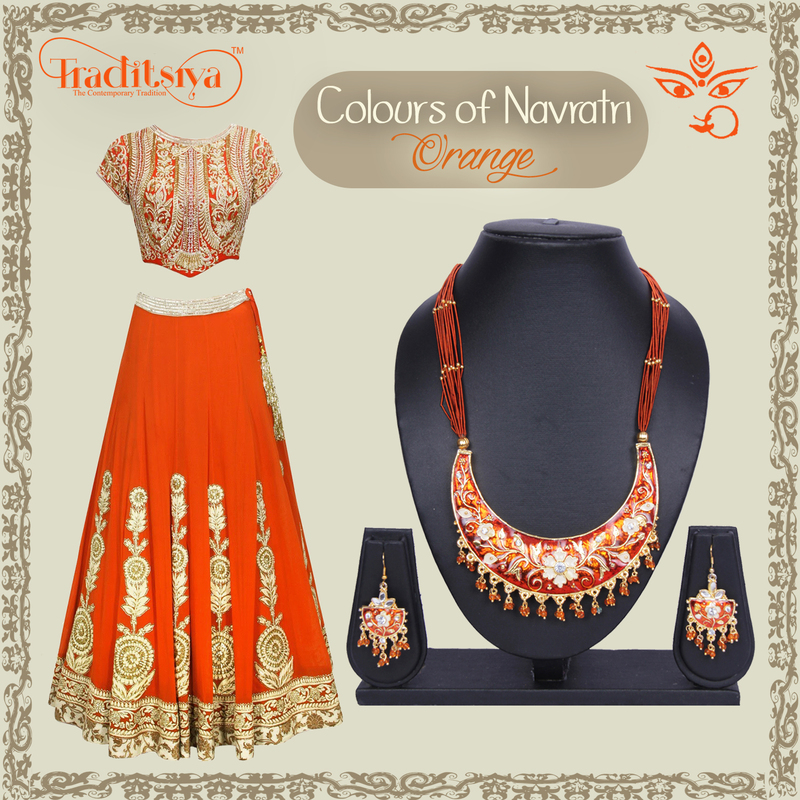 A little change in the way we always style our lehengas and jewellery. This time lets add a little more shine to this wonderful outfit. 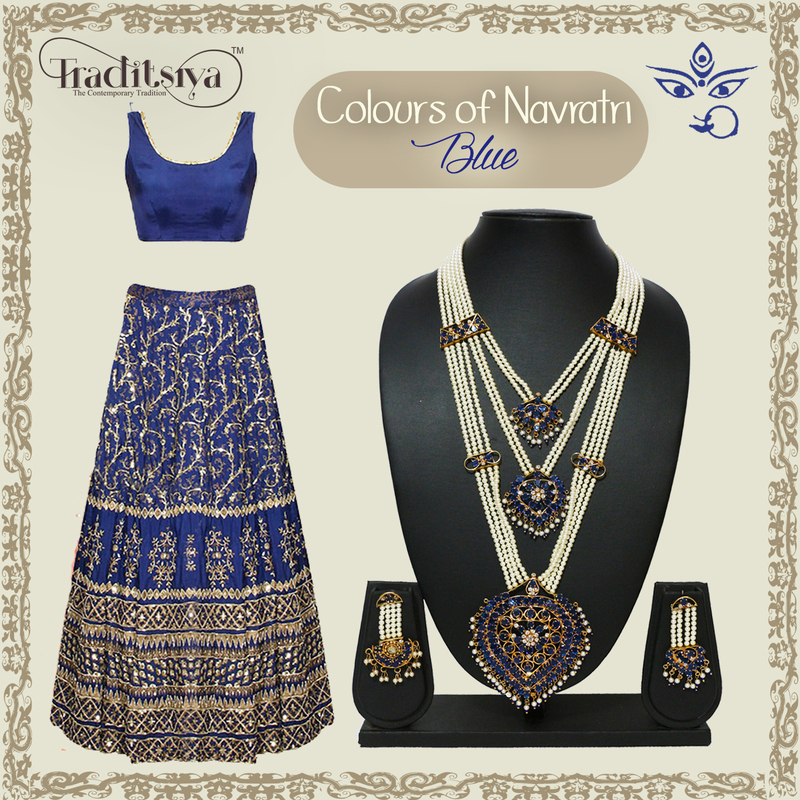 Pair your lehenga with an ethnic Bajuband. 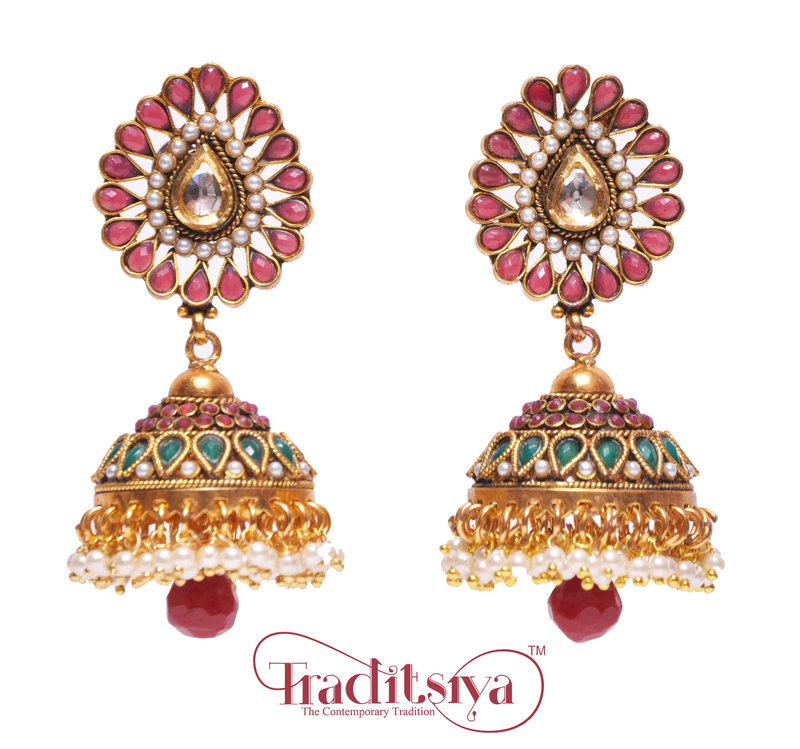 Bajubands are an old world charm and now are returning back in trend. A Necklace Set + a Bajuband will do wonders. Make sure your outfit is sleeveless or has short sleeves so that the bajuband can make the most out of its radiance. Dresses are the most worn outfit throughout. 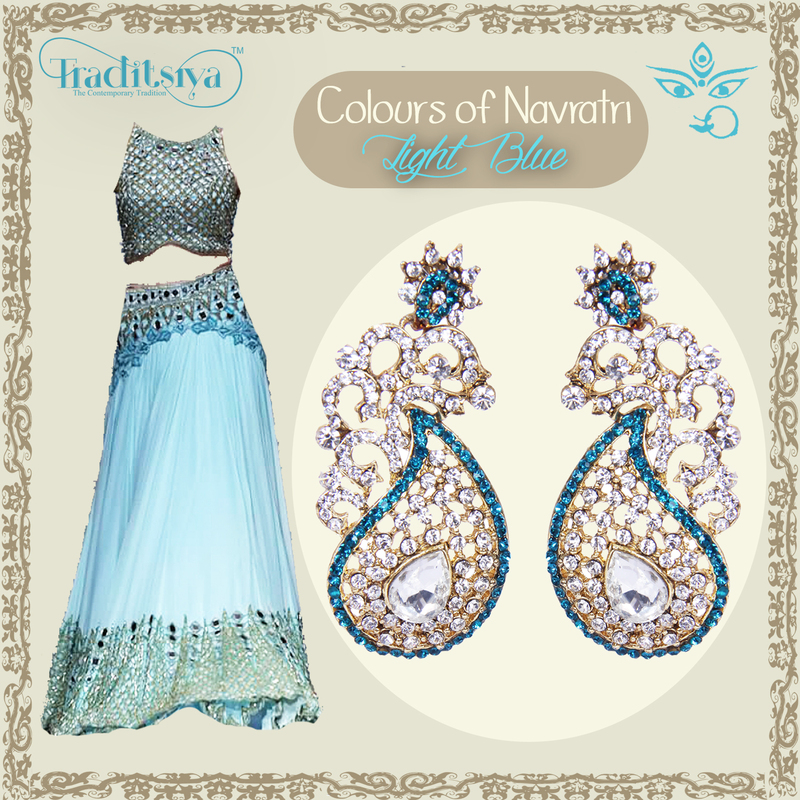 While dresses look great simply with a pair of earrings. But for a little more drama you can add a beautiful Hathphool instead of bangles. Haathphool embellishes the wrists as well as the fingers. 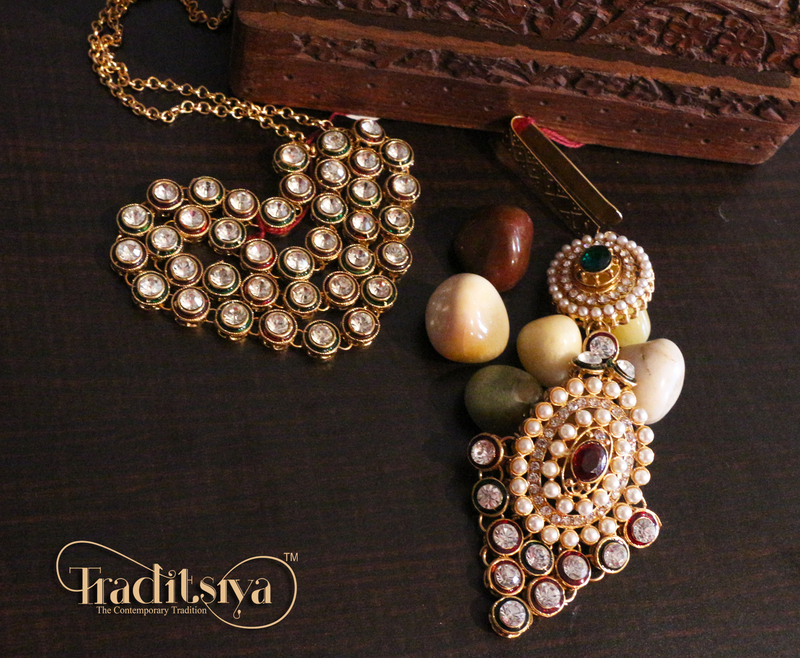 Also known as ‘Hand Harness’, this jewellery style is making all the waves in the South Asian Fashion scene. Gowns have always been in trend. But the craze for ethnic gowns is doing the rounds. Indo-Western outfits don’t need much styling to be done. 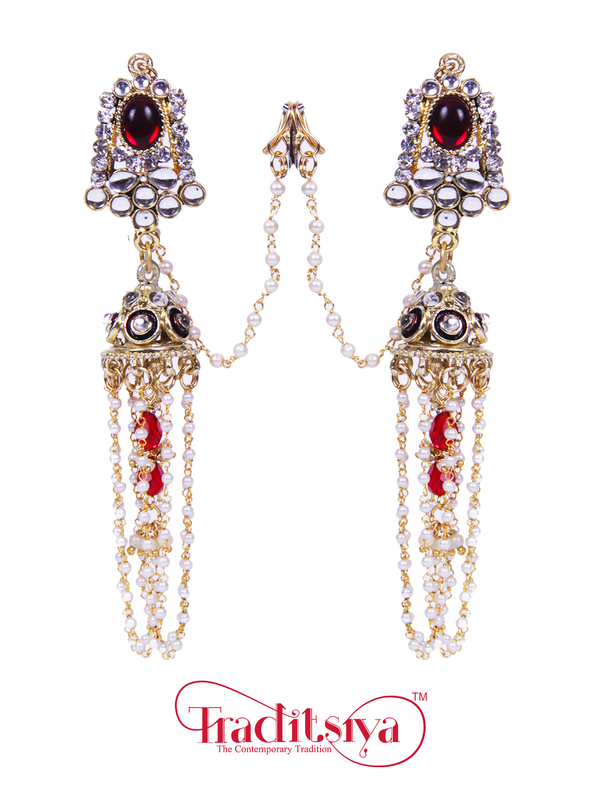 A nice pair of long Indo-Western Earrings would do the talking. 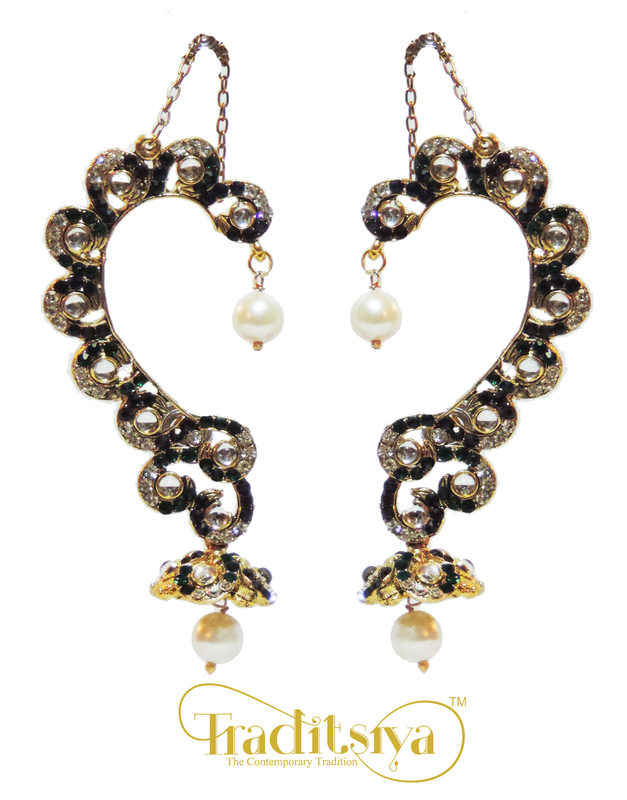 Long Earrings are all you need to make a Style Statement. The South Asian Fashion scene has changed from what it was. 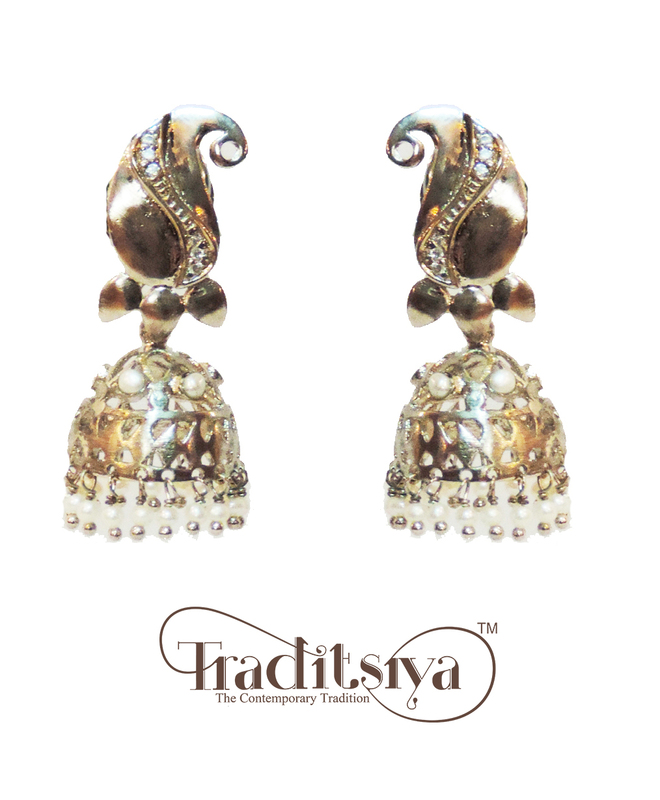 Traditional jewellery styles are becoming popular amongst woman from all age groups. 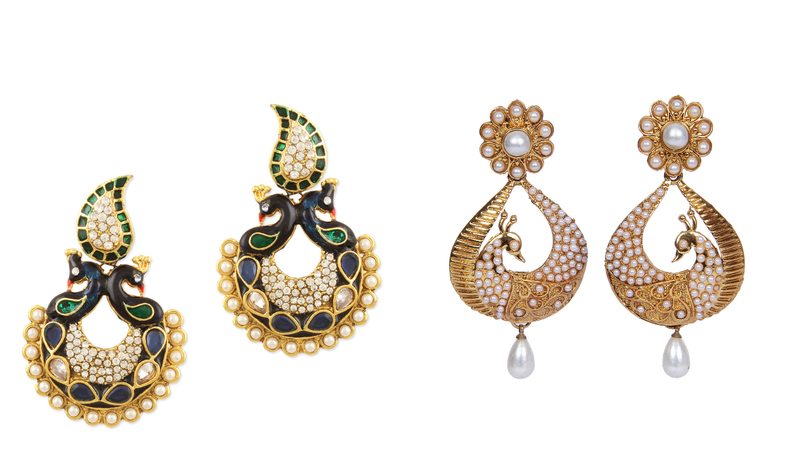 Just as the 80s-90s clothing trends are back like the ghararas, Indian jewellery trends have also gone through a drastic change this year giving way to dramatic ornaments much-loved by our ancestors. 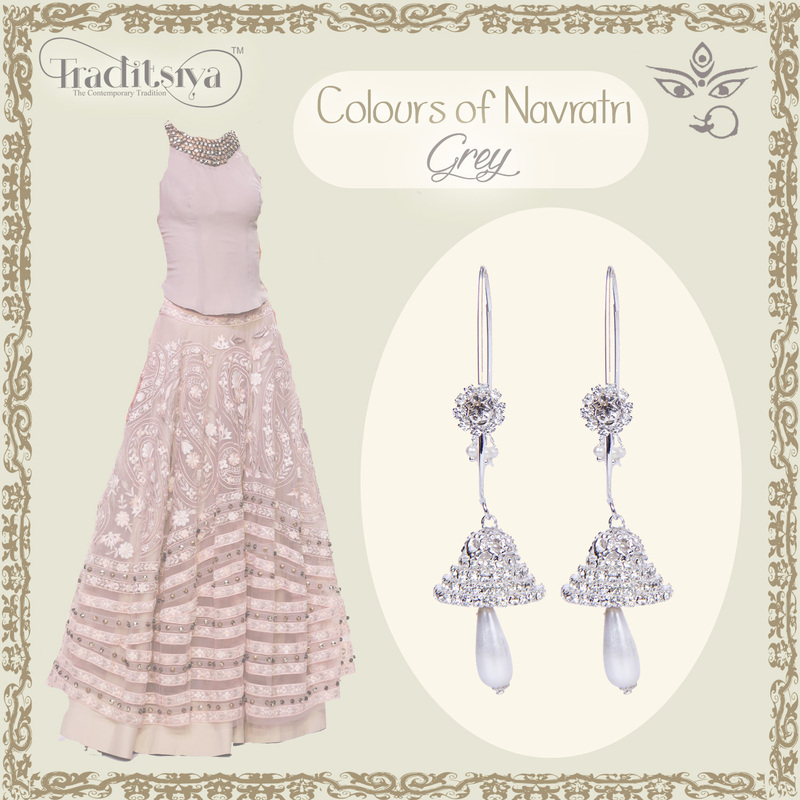 Haathphool is an indian jewelery that embelishes the wrists as well as the fingers. 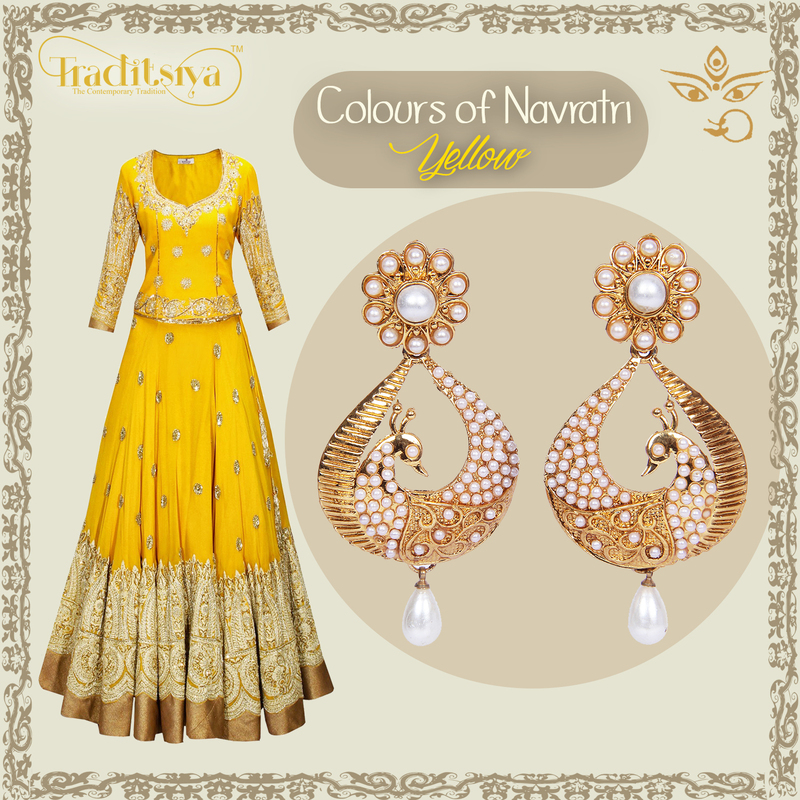 Fondly known as ‘Hand Harness’, this jewellery style is making all the waves in the South Asian Fashion scene. Earlier reserved for the bride, with the ongoing trend, young girls are loving it. Remember to get your hands manicured before the occassion. Handcuff is a jewellery that can add glam quotient to any outffit. Bangles are for the tradition lovers, now its all about statement cuff for the contemporary woman. The best thing about these is that if you are sporting a broad solid cuff, you do not really need any other jewellery. The cuff alone does the job. Make a gallant appearance with a Statement Necklace. Statement Necklaces are in the fashion scene since decades now and possess the ability to lift up simplest of the attires. Preferably adorned without earrings, these necklaces look best with a-not-so-flashy outfit. 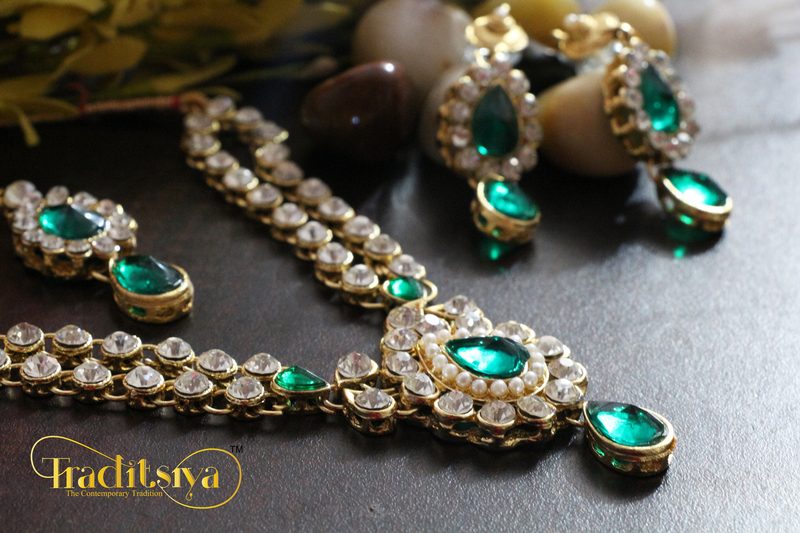 The Maang Tikka is an integral part of a South Asian Bride’s Trousseau. However, with young girls embracing this jewellery style, maang tikkas have become a favourite amongst women from around the globe. 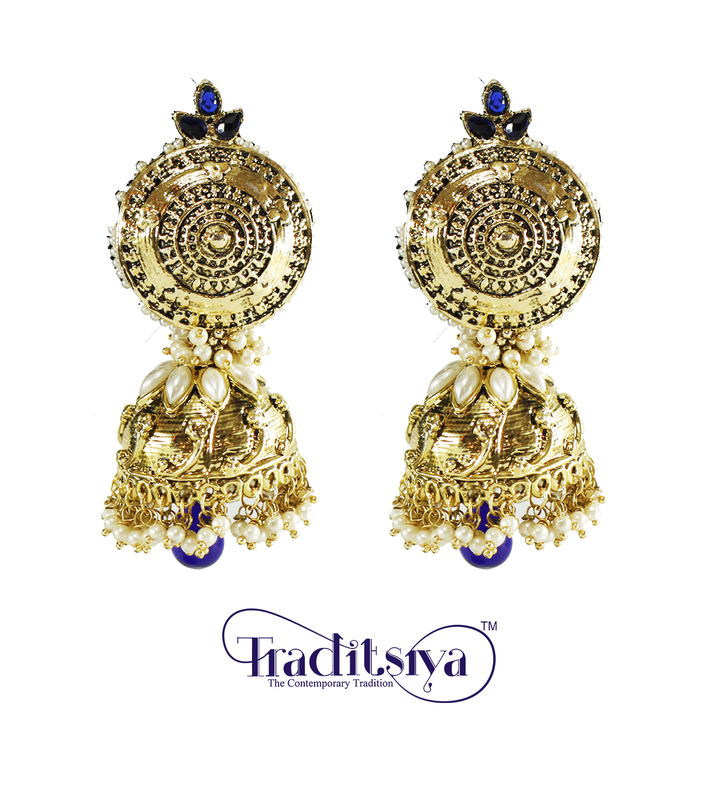 This age old bridal accessory in the form of mathapattis has won the heart of the woman of today and is adding a galm quotient to the ethnic look. However adorn it only if you feel confident from within, or it can go terribly wrong. Another traditional bridal jewellery is the bazuband, that perfectly fits like a cuff or a bangle on the arm instead of the wrist. You can either wear it alone to achieve a minimilist look or adorn it with a necklace set to look grand for a family wedding. If you have flabby arms, avoid wearing this as it may make your arm look fatter. South Asian Women definitely have the perfect curves. Flaunt these curves or rather accentuate them with this trendiest addition to the ethnic jewellery passage with ‘Kamarbandhs & Satkas’. Adorn it over a lehenga or a saree, you can even wear it high waisted to accentuate the thinnest part of the waist to achieve your favorite celebrity style. Fashion trends come and go, and gold jewelry is sometimes at the top of the list of hot accessories for a given year. The most important thing to keep in mind is to wear what you love. However, whether it’s popular or not, gold never really goes out of style. If you love gold, embrace it. Although gold is classic, styles do change over the years, but you can always mix match your old gold jewellery and give it a modern touch. Gold is classic. You can wear gold wherever and whenever you want, whether a party or a wedding, and it will always make you look stunning. Many people think that wearing gold all over can make you look loud. 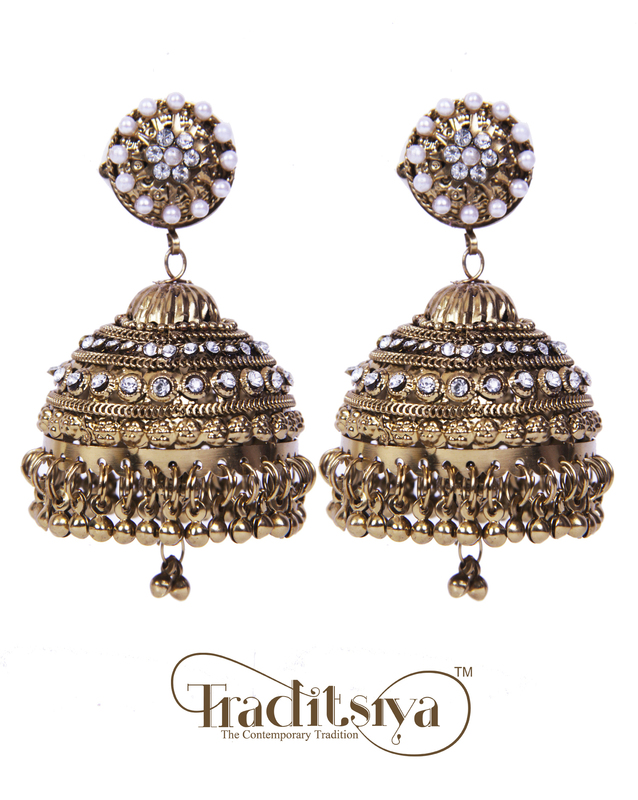 But Traditsiya’s gold fashion jewellery will never make you look bad. When celebrities talk, thousands of admirers echo their word. They have the power to mesmerize the people around them with the way they stylize their outfits as they know what is making rounds in the fashion mill. Every woman aspires to look like the celebrity she idolises. Keeping tabs on what is currently being appreciated becomes easier, not to mention the confidence that generates in a woman when she looks beautiful. While we often see our Indian actresses in western ensembles, they have a penchant for traditional attires as well/too. From Aishwarya Rai Bachchan in Cannes film festival to Deepika Padukone for movie promotions, they all carry it with a grace that knocks everyone out. Sarees, lehenga-cholis have been a part of India’s fashion history and haven’t withered a bit with age. Over the years they have evolved according to the time period. Of course, these outfits would be missing their souls without the beautiful traditional accessories. Stunning mathapattis, extravagant earrings, elaborate necklace sets and many more kinds of jewelleries that flatter the traditional outfits have been here for aeons. Nose rings, have for long, symbolized the mannerisms of Indian culture and have stayed strong in the fashion fort where a number of trends have come and gone. Celebrities from all the eras have worn them and showcased it, blending it with their own sense of style. Now in 21st century, a trend of conglomerating the same old jewellery with a new idea giving it a different dimension, has started. Designers have come up with edgy ear cuffs that many of our Indian actresses have been seen sporting. They have been introduced in the traditional world and Bollywood actresses like Jacqueline Fernandez have presented these age old adornments in an incredible way. The best way to carry off an ear cuff is with minimalistic makeup and zero accessories that gives the cuff all the attention it deserves. Another wave that has hit the shore hard is that of the extravagant Hand Harnesses, fondly known as ‘Haath Phools’, that previously were worn mostly by Indian brides. But in this age, designers have pushed the envelope, taking the jewel on another level. We see celebrities all over the world using it to augment their red carpet looks. Many of us have this perception about traditional jewelleries that they can be worn only with Indian wear, but our ladies from the film industry have proven us wrong by teaming them with western outfits and the result just blows your mind away. It in fact gives you the ultimate glam look. It is the age of blending and constant change in the world of fashion and in order to make sure you aren’t left behind the best thing to do is to follow the torchbearers. In India, bangles have different names, changing with culture and direction, but that doesn’t change what it defines —the colourful patterns in which they come has a radiance; the soft jingle sound they make due to their proximity to each other is like a melody. Bangles have been a part of our tradition and have evolved in designs over the years, making it take on a stylish and contemporary edge while still doing the same work-making a woman wearing them look beautiful, elegant, and graceful and brightening up their entire frame. 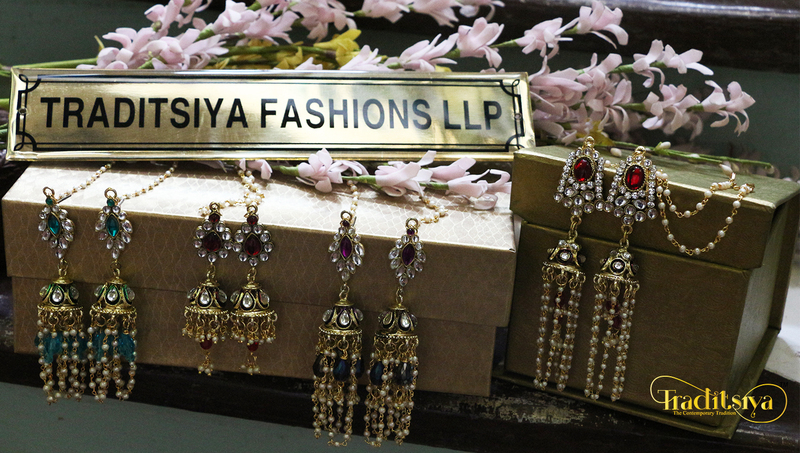 At Traditsiya we aim to achieve excellence and creating nothing less than best for the customers and that is what our new bangle collection promises and has in store for you. 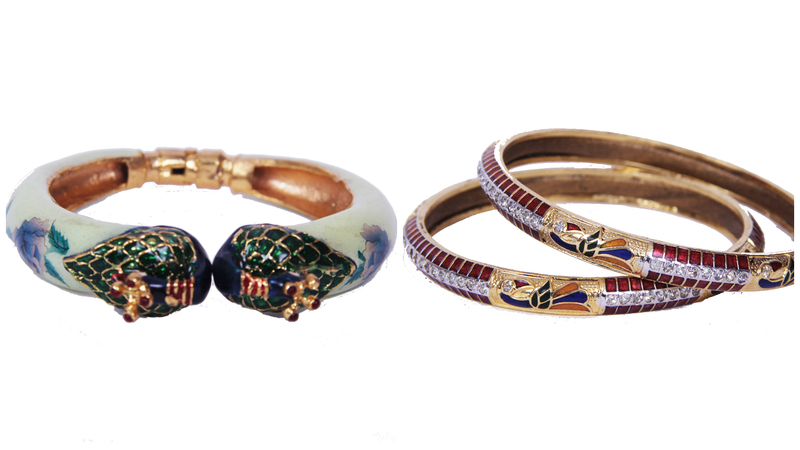 Floral kundan two bangles and stone studded four bangle sets are ideal for both daily wear and special occasions. They come in different shades and in multicolour as well. 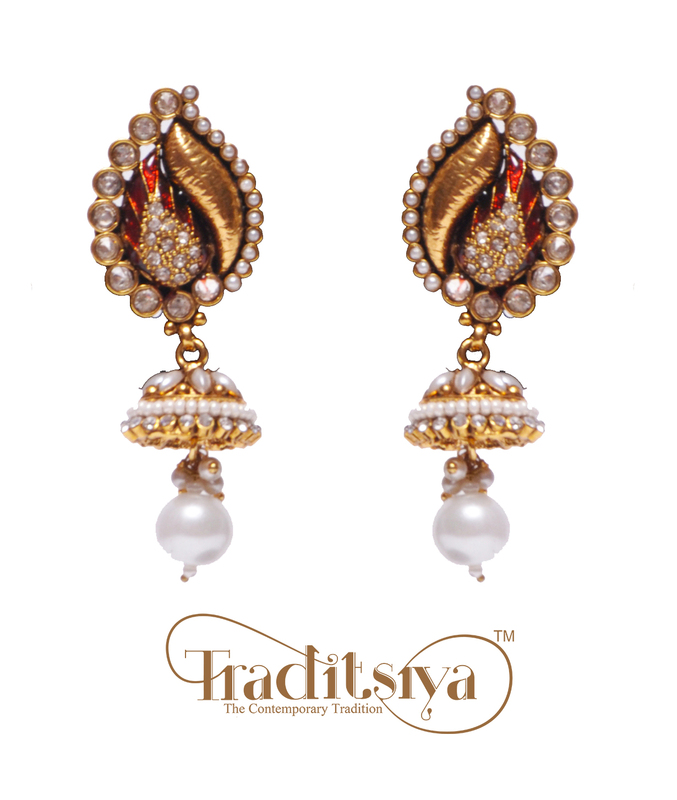 Use of hyderabadi pearls, American diamonds and gold plating makes them stand out from the rest. Adjustable bracelets are also available for those who like to keep it simple. Handmade bangles have a charm of their own. 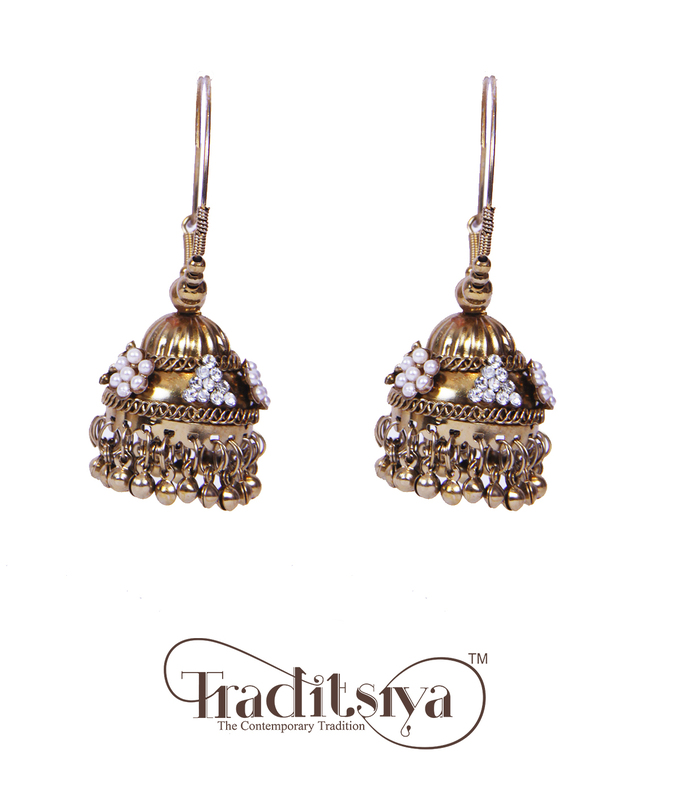 And how can you ever go wrong with royal polki and net designs with their intricate work and their exquisite beauty that charms its way into your heart in the first glance itself. Gold geometric floral designed handcuffs are the best examples of tradition meeting modernity to breed something beautiful. Bangles are a woman’s most treasured jewel and Traditsiya with its products makes sure that this treasure contains articles only of the optimum level. 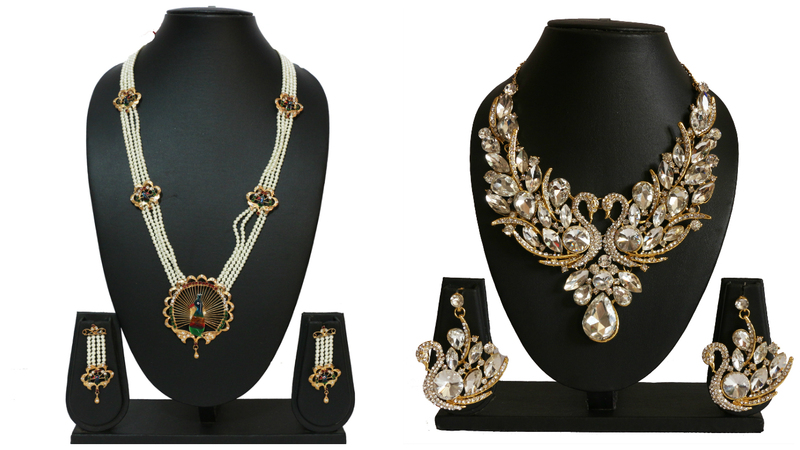 Jewellery of India is an eloquent expression of the country’s aesthetic and cultural history. 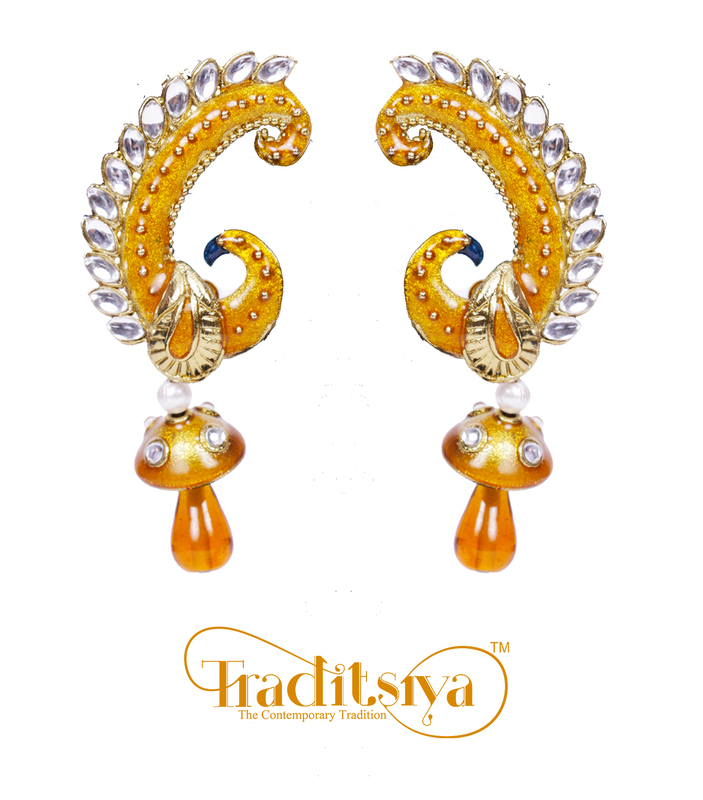 Peacocks are beautiful combination of multi coloured feathers and it is considered as bird of bliss among many world cultures .Peacock jewellery is evidently inspired by peacock as its multiple shades and design open the door for new dimensions in ornamental inventiveness. 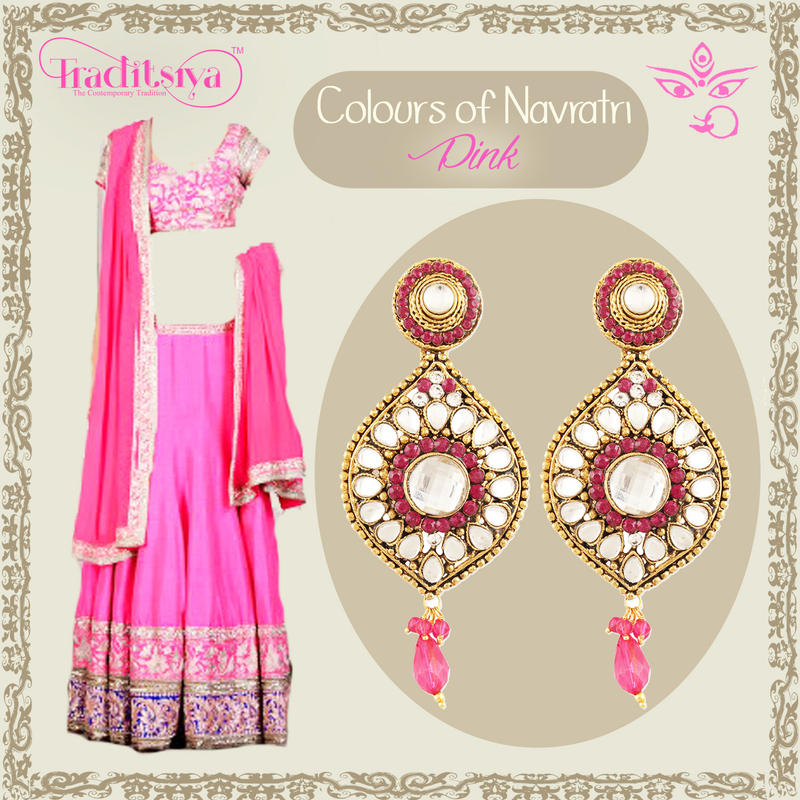 With its beautiful plumage and curvaceous body, the peacock has become an inspiration in the new Diwali collection by Traditsiya. 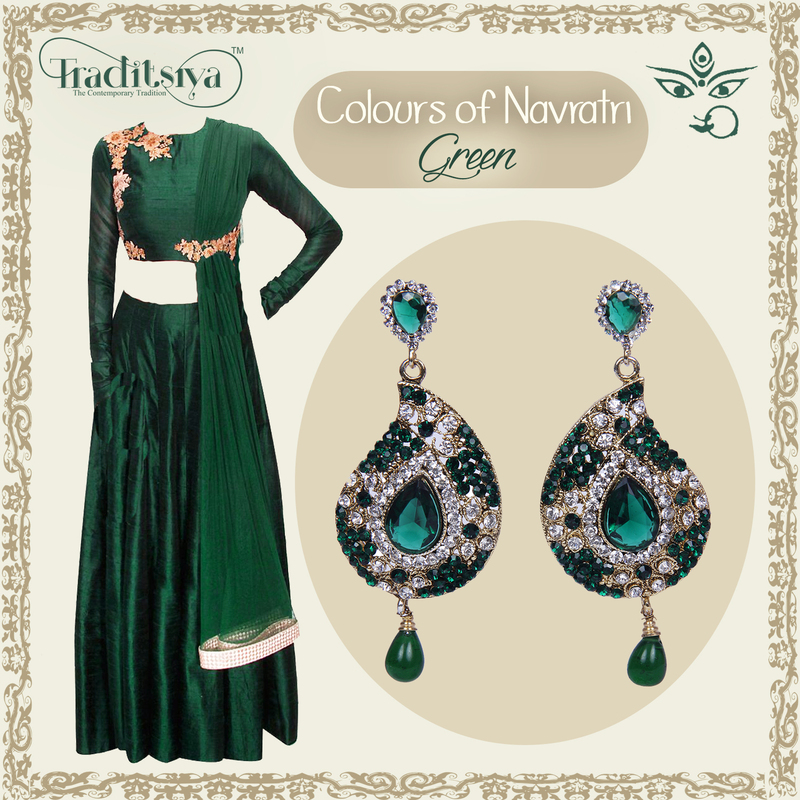 Due to its multiple shades and a unique colour combination it has been used in the jewellery for a long time now. 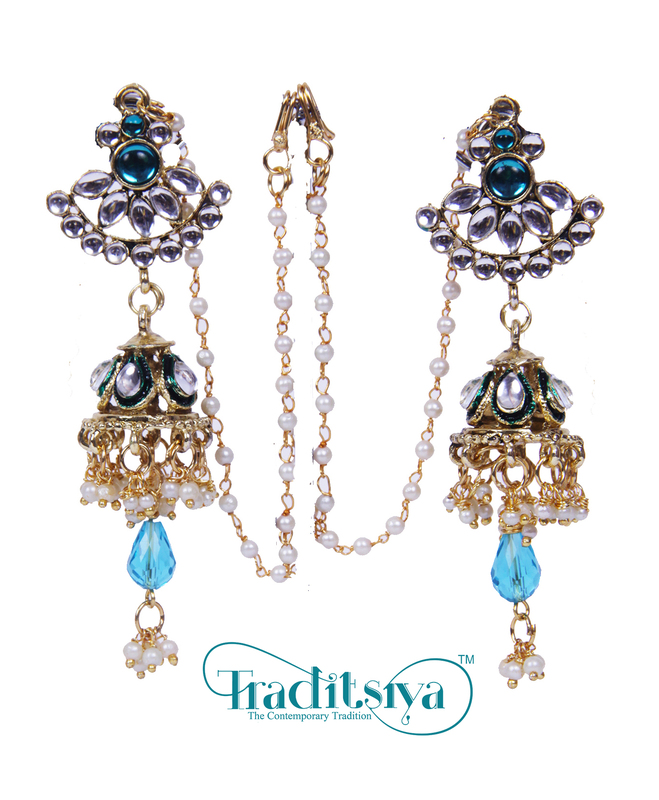 The Peacock jewellery has royal feeling to it and the design was very popular in amongst the royalties of India. So generally the Peacock jewellery sets were counted as heavy jewellery suitable for occasions with traditional Indian dressing. A peacock inspired palette is one of the most vibrant themes happening in wedding trends as well as festive occasions. 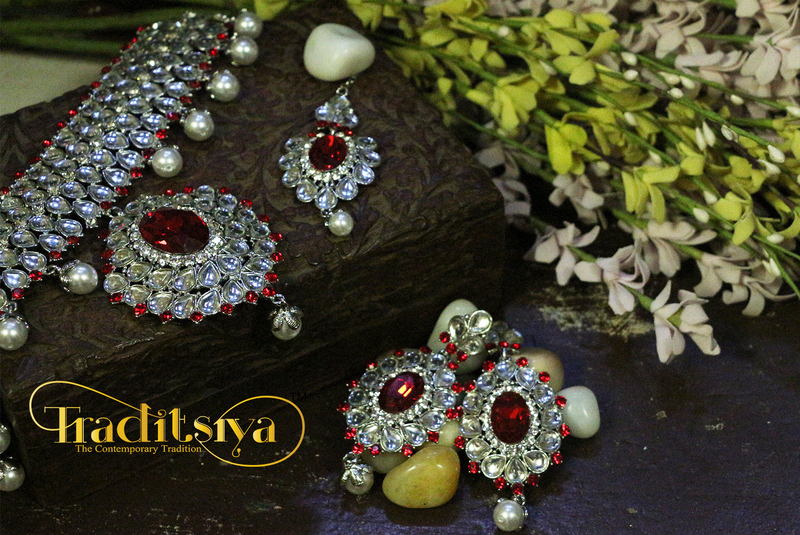 The glowing eyes and the perfect blend of vivid colours of a peacock have beendesigned on the jewellery while playing beautifully with the colours and shape so as to bring out the marvel and appealing charisma of this natural beauty on the meticulously crafted jewellery. 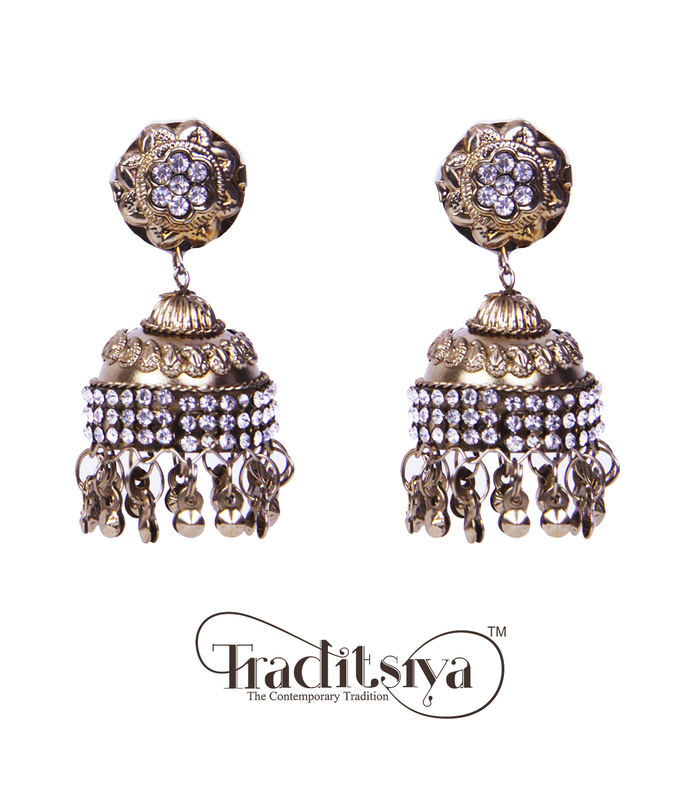 Traditsiya’s jewellery offers a tantalizing blend of modern and traditional jewellery. The impeccable shape of the peacock has been wonderfully captured and carved in the new Diwali collection’s jewellery designs. Adorn yourself with this compelling jewellery which would suit all kinds of traditional outfits giving it a contemporary twist. The nine-day festival of Navratri in Hindu religion is held in honor of the nine manifestations of Goddess Durga. Navratri literally means ‘nine nights’ and is celebrated differently in different parts of India by Hindus. But in all places the victory of good over evil is celebrated and Goddess Shakti is propitiated. Such adoration to Mother Goddess is unique to Hinduism. The festival also marks the arrival of winter season, a period when Nature undergoes several changes. But what really does this defined dress code signify? 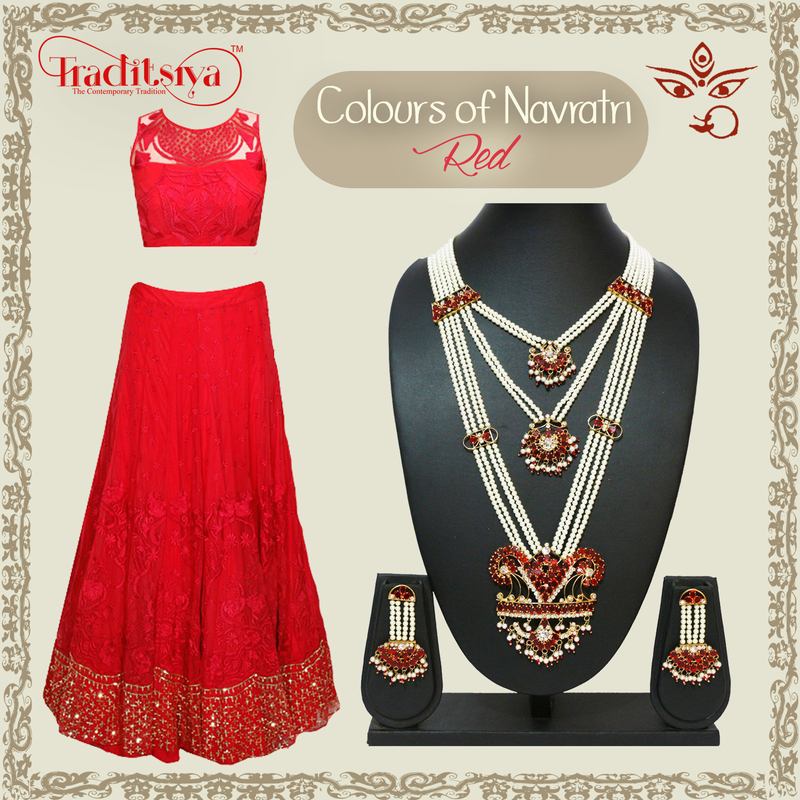 We all know that Navratri is aimed at worshipping the nine forms of Goddess Durga.The trend of wearing a different colour for each day is to signify that particular form of the deity. 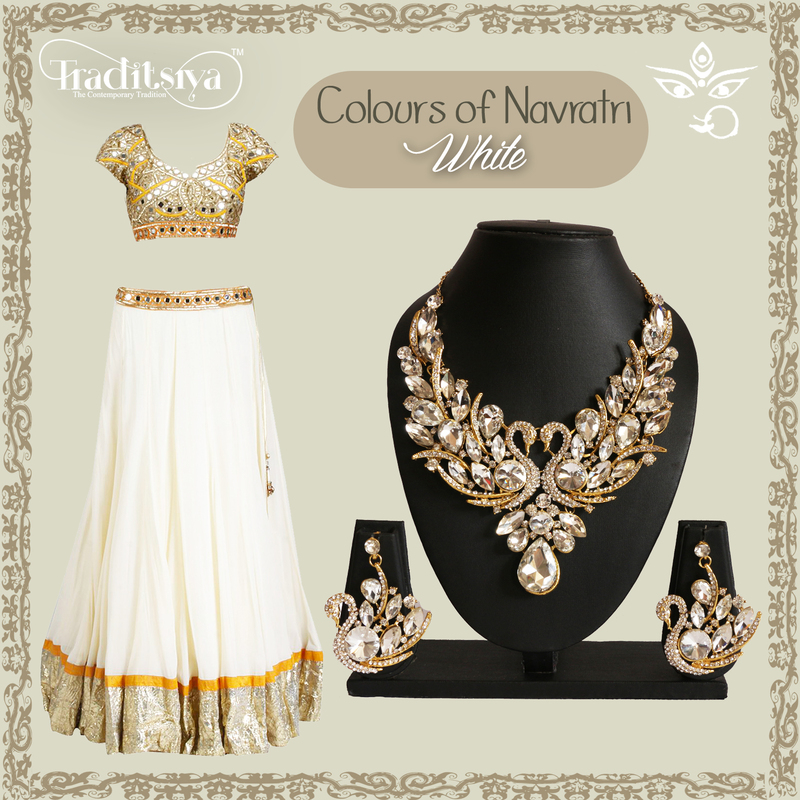 While green signifies prosperity and growth, white resembles the essence of purity and calmness. Also, orange is a sign of independence and self-dependence, red indicated the presence of power and strength. Finally, purple indicates gracefulness and pink signifies the birth of something new. 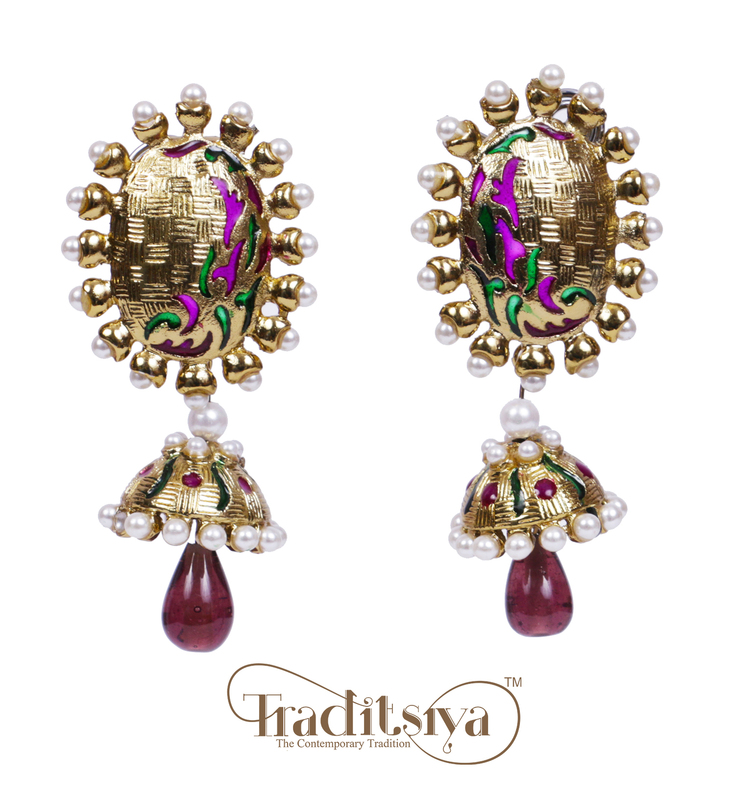 Traditsiya’s new collection for this festive season has gone live. 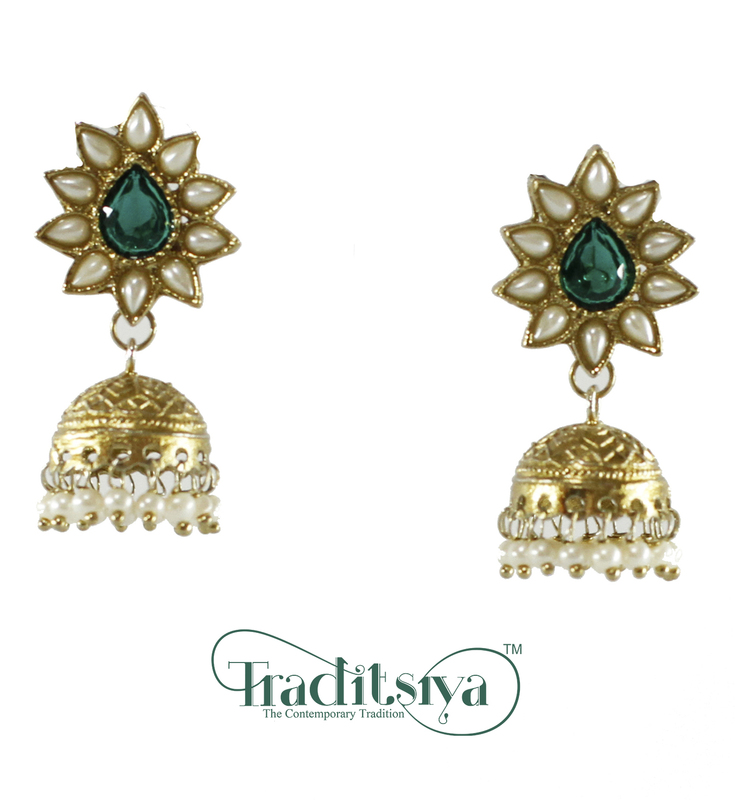 Flaunt the Magnificently crafted Jewellery collection by Traditsiya. 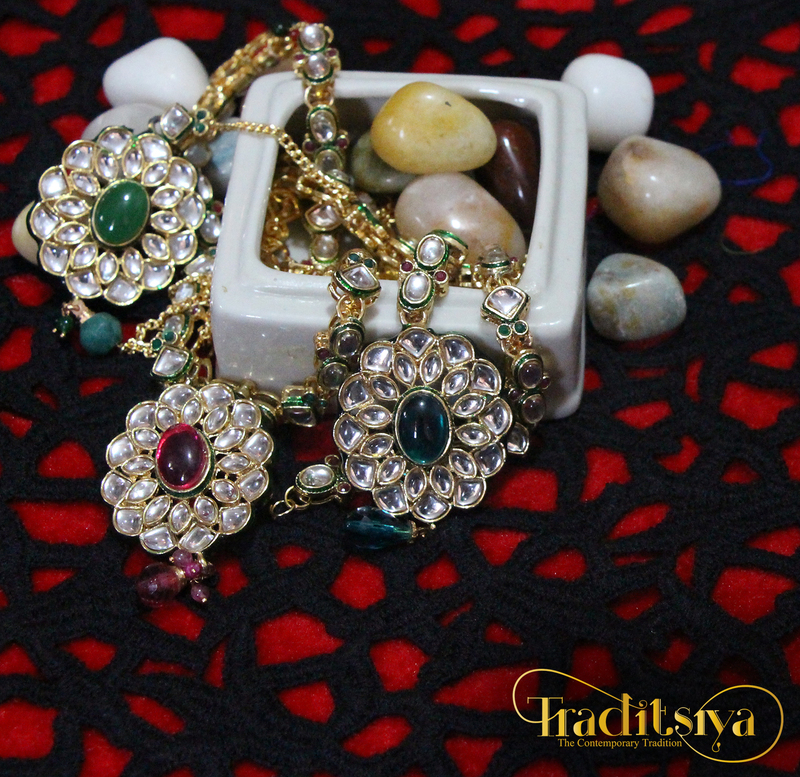 Invoke the ultimate with Traditsiya’s Festive Jewellery collection.